If you’re sad that Christmas has gone by in a heartbeat and there’s 360 days (yes, cry!!) until Christmas then read on to find out how to relive the festive holiday every day. If you’re like me, you’ll get excited by the sight of Christmas decorations and ads that have rolled around. I love Christmas. It’s probably my favourite holiday ever. It’s everything about Christmas – the christmas carols, the lights, the Christmas trees, the DELICIOUS Christmas feast smells… oh I could go on. But today, my post is dedicated to one of our five senses – smell. 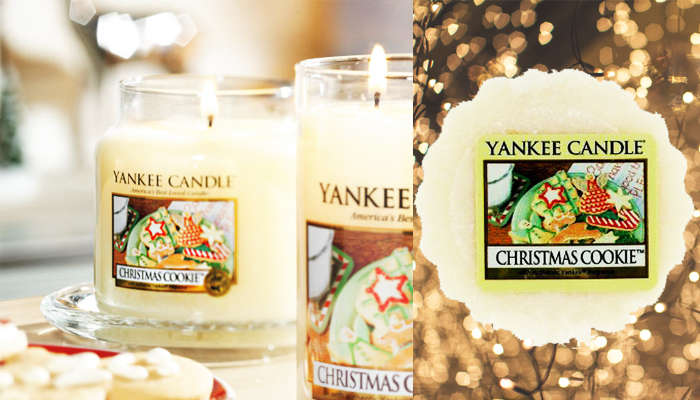 If you live in Australia, you’d have noticed how incredibly hard it has been to get your hands on much loved yankee candles. I’d google and google for hours on where to purchase yankee candles or even Bath and Body works candles and then much to my disappointment, I receive an error message on amazon letting me know they don’t ship candles to Australia. But HOLD ON. A few months ago, I saw Yankee candles – the mini sample tart wax melts displayed at spotlight. So, I picked up this festive scent Christmas Cookie and Snowflake Cookie. Christmas Cookie: The irresistible aroma of freshly baked Christmas cookies is as much a part of the holidays as the twinkling lights on the tree and the stockings hung by the chimney with care. No holiday would seem complete without nibbling on some of these homemade delights. You’ll find every delicious note in the buttery rich, vanilla scent of this memorable fragrance. The candle smells super delicious and fills my house (yes literally, whole house!) with a sweet buttery festive scent. It’s not too sweet and not too strong – perfect in my opinion! The tart wax melt is perfect and lasts ages! I’ve stocked up on a few of these beauties to burn after Christmas just so I can relive it after! It’s not just a christmas scent, it’s a warm and relaxing scent perfect for a cosy night in. What’s your favourite holiday candle?